Hi Scott, Thank you. Steve and I are really happy with the electrical work performed by your two guys today. The work is of a high standard, a neat and tidy job and exactly what we wanted. Payne Butler Lang wanted to manage the rising cost of electricity by making a positive change and using renewable energy. Scott Burke, who is a client of the firm, of Scott Burke Electrical provided advice, a strategic plan and competitive pricing to enable Payne Butler Lang to attain their goals. The two systems installed were of high quality components and since installation have provided significant savings to the electricity costs. 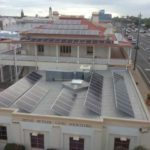 We, at Payne Butler Lang, have no hesitation in recommending other building owners contact Scott Burke Electrical to discuss their solar options. As a Builder, our clients trust us to assemble the right team to get the job completed on time and within budget. While the overall cost of a project is always important, cost alone is not the only factor we use when selecting our team. Equally important to cost is a company’s professionalism, workmanship, knowledge and experience. For the past 9 years we have worked with Scott Burke Electrical and we have been extremely pleased with the results. The quotes provided by Scott Burke Electrical are complete, accurate and transparent, and this quality information enables us to rely on their pricing to ensure that there won’t be any unwelcome surprises for our clients at the end of the build. We often receive positive feedback from our clients regarding their interaction and overall experience with Scott and his team. Their attention to every detail, from the start of a project through to the finished product is great to have as we strive to give our clients a top quality product and Scott Burke Electrical helps us do that with all of our projects. Scott & his team always take the time to listen to our clients requests, discuss options and are able to make suggestions that will benefit the client. Ultimately, Scott Burke Electrical makes the job of providing our clients with the finest quality homes easier and I would not hesitate to recommend the team at Scott Burke Electrical to anyone who wants superior quality and a great price. 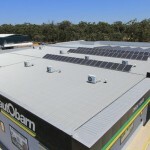 The solar system has worked above expectations to the point we have recommended other stores in our group to look at cost savings in power and also the other benefit of the extra insulation the panels give the roof benefits the cooling in our application anyway. The price of the job comparing other quotes and other claims I believe was best value for money and the cost savings that could be actually achieved. The whole job from start to finish went as planned and in my opinion nothing was over stated and the size of the 30 kw unit as recommend by your team was best for our needs. 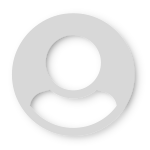 I have no problem in recommending the equipment or the professional manner in which the job was completed .Yourself and your team did an excellent job and after sales follow ups have been great. Please pass these comments on to anyone looking at the benefits of solar and if they have a question please give me a call. 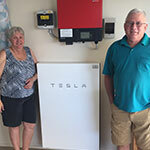 About 2 and a half months ago Scotty Burke and crew installed a Tesla Powerwall 2 battery at our residence. The professional and friendly manner in which they conducted themselves was of great credit to them. The service they provided was great. Since we've installed the Tesla Battery, it has exceeded all our expectations. It handles all the kitchen appliances including cooktop, wall oven, microwave, 2 fridge freezers, 2 tucker box freezers, hot water system, washing machine and clothes dryer etc, with ease. Over all we're extremely happy with the system, and as summer fast approaches we expect to export a lot more kilowatts back into the Grid. Well done Scott and crew. Sandy Hook Ski Club would like to commend Scott and his team on a job well done. As you know, in 2010-11 and 2013 the sandy hook ski club was devastated by major flooding on the Burnett River. The rebuild project was made easy by Scott and his team of Scott Burke electrical. I was impressed by the professionalism with our difficult situation and will continue to deal with the company for many years to come. It truly was a well-coordinated effort with a strict timeline and I was impressed by the willingness of Scott Burke and his team who came to our aid. 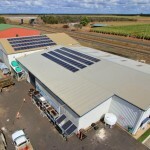 I Gary McAnally and my wife Shona would like to provide the following comments regarding the journey through the installation of solar to our premises by Scott Burke Solar. The original consultation and quote were done in a very professional manner. All our questions were answered and further information regarding size suitable for our power usage and best roof location of panels. The installation was straight forward with no delays and carried out in a very professionally manner with location of items discussed prior. After installation operation and monitoring was explained in a way easy to understand. Scott has provided follow up regarding operation and if we are happy with how work was done and operation of unit. This actually impressed me as I have had work of a similar nature and this follow up service never occurred. I and Shona would have no hesitation in recommending Scott Burke Solar to anyone wishing or thinking about having solar installed. I would like to say that purchasing our 30 KW solar panel system experience with SCOTT BURKE ELECTRICAL has been at a high standard. Dealing with Scott from our first contact, his quote presentation and to the installation has been a delight to deal with. I would have no hesitation in recommending others to consider his knowledge and professionalism in his buying solar systems.